The condo was spacious and had a beautiful view of the water and island. The view was outstanding, the staff was great. Really liked the shuttle. I liked the amount of space we got and the view. Also the privacy and convenience were great. I appreciated the full kitchen which allowed me to cook my own meals. Also Mahalo for the easy-to-find parking. The outside grounds were beautiful. villas were clean and roomy, walking distance to golf and food! The views & beaches. Old Lahaina was our favorite, Front Street had good restaurants & shopping. Spacious rooms. Views of ocean, Molokai, golf course. Quiet setting. Tropical bird calls. Beautiful landscaping. Upscale furnishings and appliances. Huge lanai with great furniture. Proximity to Napili and Kapalua beaches. Proximity to great restaurants. If you can, definitely upgrade to the gold villas. Our second villa was beautiful and a big leap in quality compared to the standard villa. We stayed in the Bay Villas on a corner lot and was close to one of the pools. Although there was a big villa in front of us blocking part of the view, we were close to the ocean/boardwalk and could still see humpback whales from our patio every day. The villa is a short ten minute (if that) walk to Kapalua Bay beach, which was fantastic. The area we stayed in was very quiet and peaceful and we loved that parking was included in the price. The area was quiet and grounds were in excellent condition. Gorgeous views, spacious, great location for golfers, short walk to pool, quiet and good separation from other units. Lock in a great price for Kapalua Villas Maui – rated 8.2 by recent guests! Kapalua Villas Maui This rating is a reflection of how the property compares to the industry standard when it comes to price, facilities and services available. It's based on a self-evaluation by the property. Use this rating to help choose your stay! Located in Maui's Kapalua Resort, Kapalua Villas Maui offers outdoor swimming pools and villas with fully equipped kitchens and air conditioning. Panoramic ocean views are featured at the restaurants onsite. Styled in modern tropical décor, each villa features a balcony with either golf course views or full or partial ocean views. WiFi, cable TV, private bathroom, clothes washer and tumble dryer are also provided. Select villas offer kitchens with granite counter tops. The concierge helps guests’ book reservations with catamaran tours, snorkeling and scuba diving activities nearby. Guests have access to 2 championship golf courses, Plantation Course and Bay Course, and complimentary court time and discounted equipment rental at the Kapalua Tennis Garden. Featuring regional Hawaii cuisine, Merriman's Kapalua serves dinner daily at Kapalua Villas Maui. Contemporary Pacific Island cuisine can be tasted at The Pineapple Grill. The Plantation House Restaurant features Hawaiian Mediterranean cuisine. Sushi and Pacific Rim cuisine can be enjoyed at Sansei Seafood Restaurant & Sushi Bar. For convenience, Honolua Store features groceries, made to order sandwiches and other specialty take-out options. Kapalua Airport is 10 minutes’ drive away from Kapalua Villas Maui. Kahului International Airport is 30 mi away. 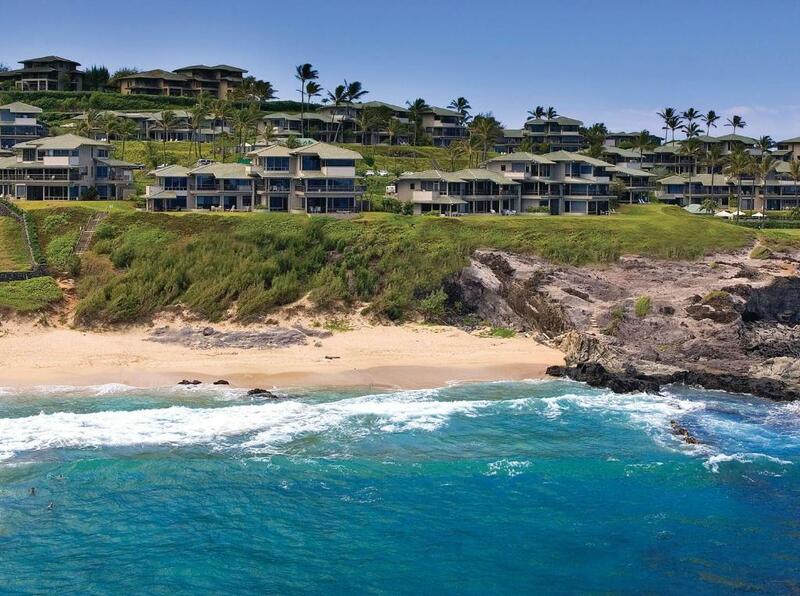 When would you like to stay at Kapalua Villas Maui? A balcony with fairway views, Wi-Fi, a fully-equipped kitchen, a flat-screen TV, a clothes washer and tumble dryer, ceiling fans, hairdryer and ironing facilities are offered in this villa. Bedding types include 1 king bed and 1 queen sofa bed. Bed selection based on availability at check-in. This upgraded villa is located along the Bay Golf Course and features a balcony with fairway views. Wi-Fi, a fully-equipped modern kitchen, a flat-screen TV, a washer and tumble tumble dryer, ceiling fans, hairdryer, and ironing facilities are also offered. A balcony with partial ocean views, Wi-Fi, a fully-equipped kitchen, a flat-screen TV, a clothes washer and tumble dryer, ceiling fans, hairdryer and ironing facilities are offered in this villa. This upgraded villa features a balcony with partial ocean views. Wi-Fi, a fully-equipped modern kitchen, a flat-screen TV, a washer and tumble tumble dryer, ceiling fans, hairdryer, and ironing facilities are also offered. A balcony with ocean views, Wi-Fi, a fully-equipped kitchen, a flat-screen TV, a clothes washer and tumble dryer, ceiling fans, hairdryer and ironing facilities are offered in this villa. This upgraded villa on the ridge features a balcony with ocean views. Wi-Fi, a fully-equipped modern kitchen, a flat-screen TV, a washer and tumble tumble dryer, ceiling fans, hairdryer, and ironing facilities are also offered. A balcony with ocean views, Wi-Fi, a fully-equipped kitchen, a flat-screen TV, a clothes washer and tumble dryer, ceiling fans, hairdryer and ironing facilities are offered in this oceanfront villa. This upgraded oceanfront villa features a balcony with ocean views. Wi-Fi, a fully-equipped modern kitchen, a flat-screen TV, a washer and tumble tumble dryer, ceiling fans, hairdryer, and ironing facilities are also offered. A balcony with ocean views, Wi-Fi, a fully-equipped kitchen, a flat-screen TV, clothes washer and tumble dryer, ceiling fans, hairdryer and ironing facilities are offered in this villa. Bedding types include 1 king, 2 twin beds or 1 double bed. Bed selection based on availability at check-in. This upgraded villa features a balcony with ocean views. Wi-Fi, a fully-equipped modern kitchen, a flat-screen TV, a washer and tumble tumble dryer, ceiling fans, hairdryer, and ironing facilities are also offered. Rooms are 104 square yards. Rooms are 163 square yards.